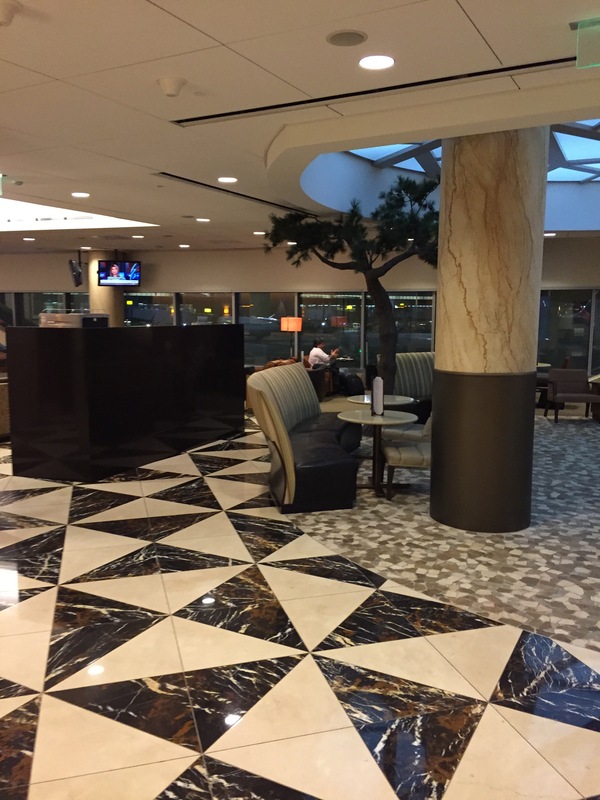 I arrived at the Admiral’s Club about an hour and 15 minutes before my flight. 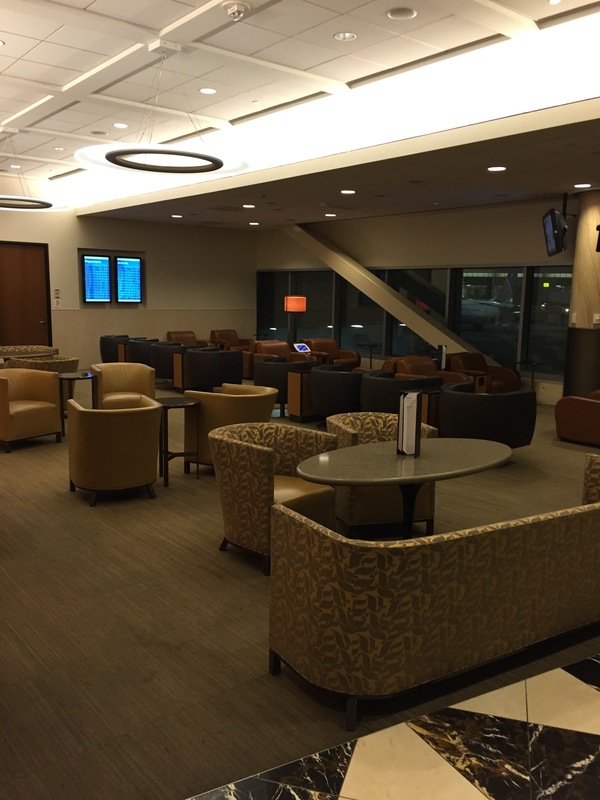 The lounge was located in near the security line in Terminal 2 at San Francisco Airport. I approached the check in desk and found two colleagues present and one other guest was waiting. One of the colleagues invited me to the desk and welcomed me. I provided my Air Berlin card and my boarding pass. The agent scanned my boarding pass and then processed the membership card. The colleague thanked me and welcomed me into the club. The club appeared recently updated as it was an open concept with natural tones and warm light. 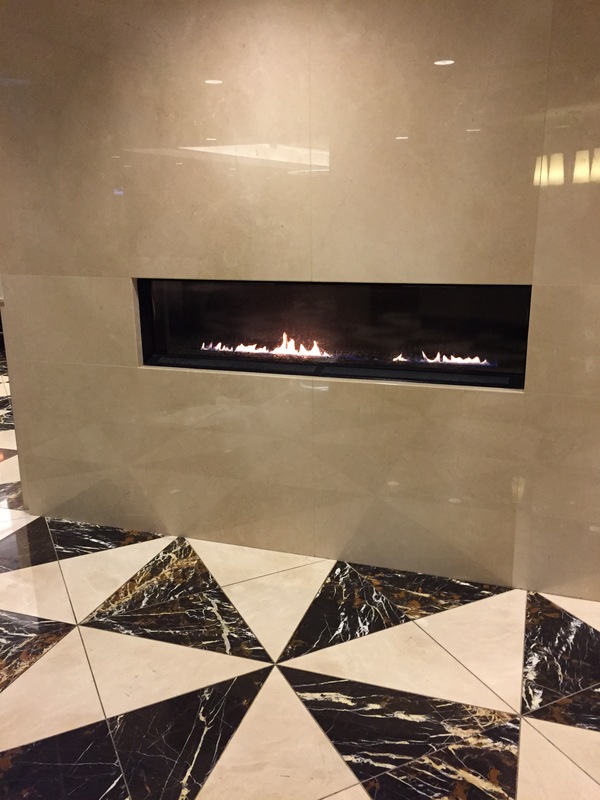 The entrance area had a modern fireplace which also had an inviting appearance. Just beyond the fireplace was a variety of seating areas set out. There were a combination of couches, chairs and tables. 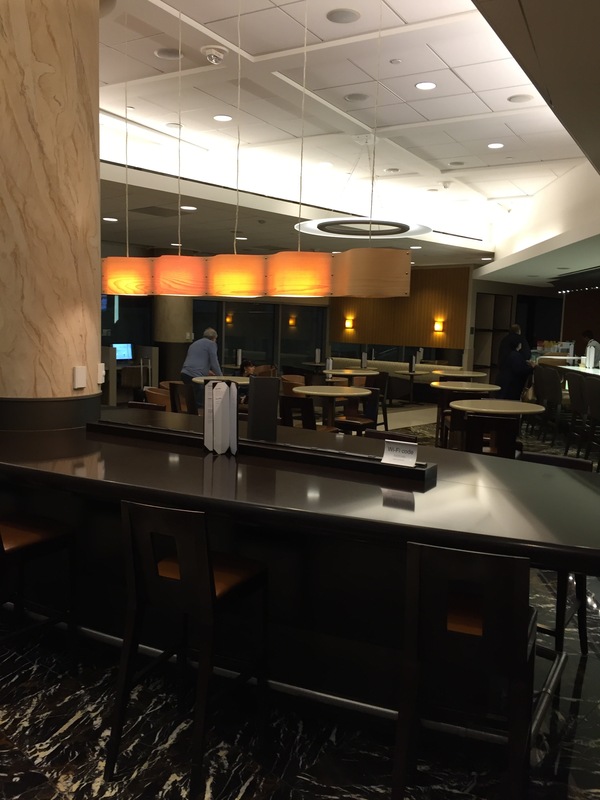 To the right was the bar area which featured a large workspace table as well as several high top tables directly in front of the bar. A business center was located near the walls which were all glass windows offering view of the gate area. There were a few trees in the room to five the room a comfortable feel. In addition there were some unique light fixtures above the workspace table at the bar. The lounge featured a self service soda machine and a hosted bar. The hosted bar area was clean. The bottles were setup neatly. Food for purchase options were also available at the bar. 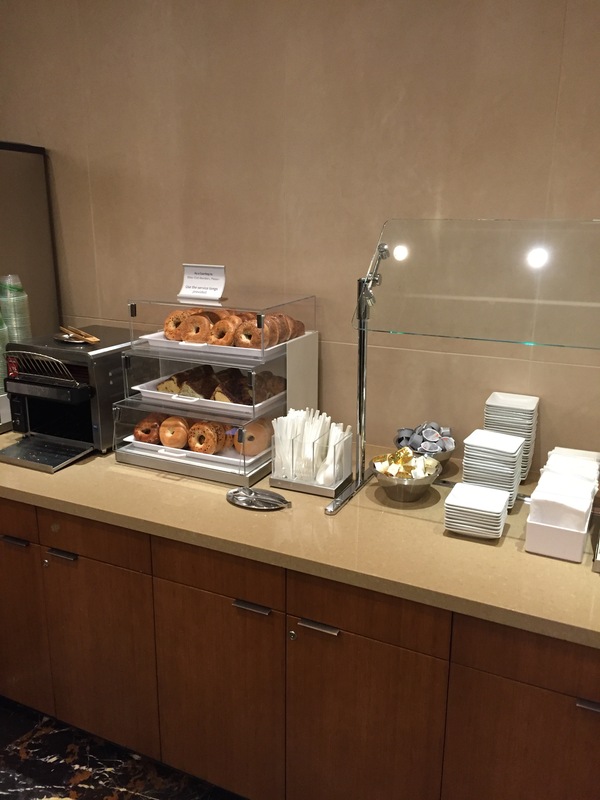 A snack station was setup with bagels and pastries. 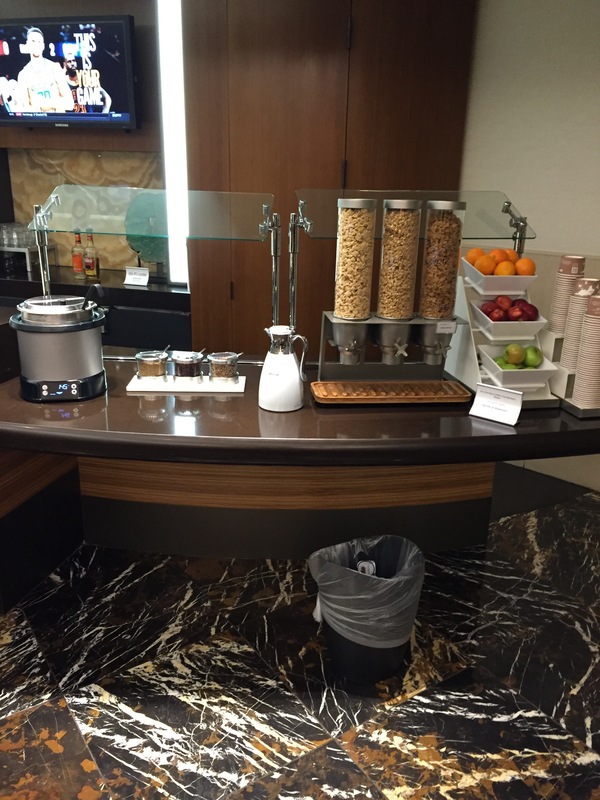 There were also four cereal options including oatmeal as well as fresh fruit. In addition, yogurt and fruit salad was provided at another station. 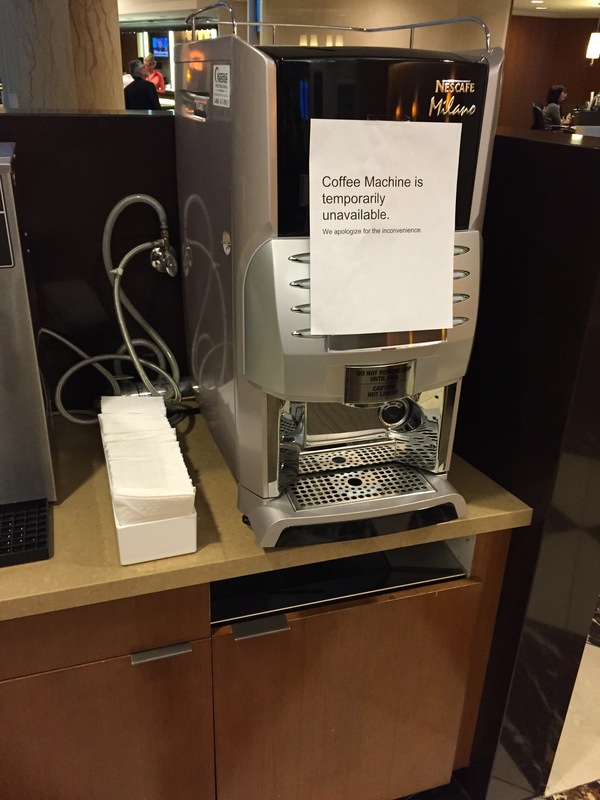 The lounge featured a coffee machine that offered various coffee beverages; however, during this visit there was a sign listing that it was out of service. Regular coffee was available at another station. I took a seat and worked on my laptop for a while as I waited for my flight. I noticed on the departure status board that all the JFK flights appeared to be operating today. I selected a Cherry Coke from the soda machine. 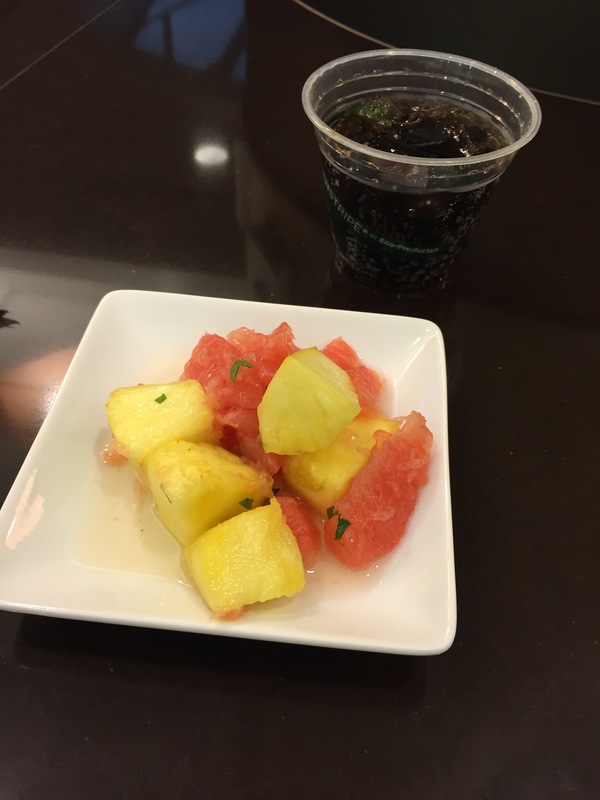 I selected fruit salad from the buffet. The fruit salad was fresh and it consisted of a mixture of pineapple and grape fruit. The fruit salad had a good taste and flavor. When I was ready to depart the lounge, a colleague near my table thanked me and she wished me a good day. In addition, a colleague at the reception desk greeted me and wished me a good day. Overall the lounge was nice. 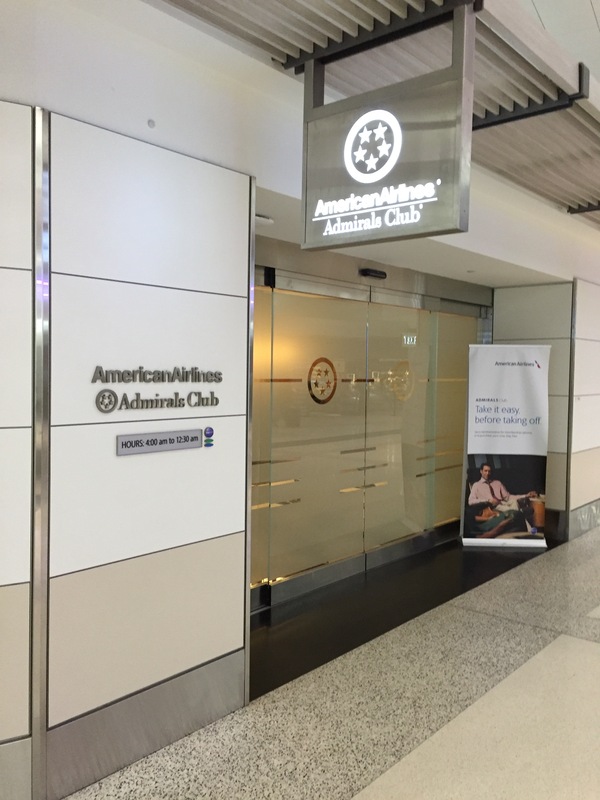 I felt that it was updated and it had a more open and inviting feel than some of the other lounges that I have visited in the Admiral’s Club system. I felt that the colleagues were friendly and they welcomed me.